Well our first weekly playlist post was a big hit so here we are again. I think I like this format for sharing with you. 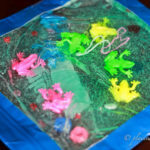 It frees me up to blog about the other things going on in our lives yet still share all of our fun activities. I hope you are liking it too! 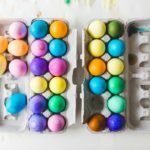 We spent last week playing with some Easter themed activities as well as a few other things. Here are four of our favorites. 1. Scooping Eggs. 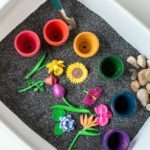 Once I set out this activity the little Mister played with it for quite some time, and proceeded to revisit it multiple times throughout the day. 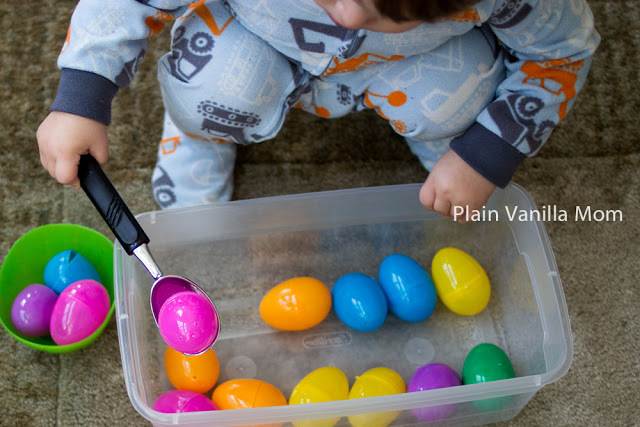 All it took was a small plastic bin, a couple of little bowls, plastic Easter eggs, and an ice cream scoop. Anything that keeps him occupied that long is a big win in my book. 2. Easter -Themed Sensory Bin. I am in love with this bin. It’s so bright and colorful I want to play in it! I used green colored rice as the base in this one. 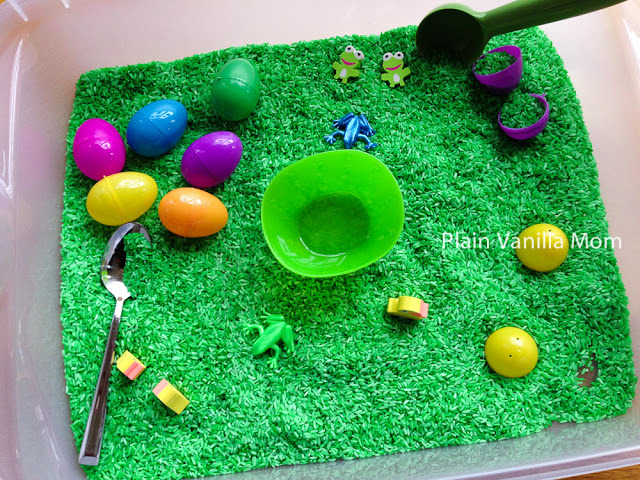 If you want to see how we color our rice check out this post. 3. Playdough and beads. Mr. C loves play dough. It’s a very calming activity for him. 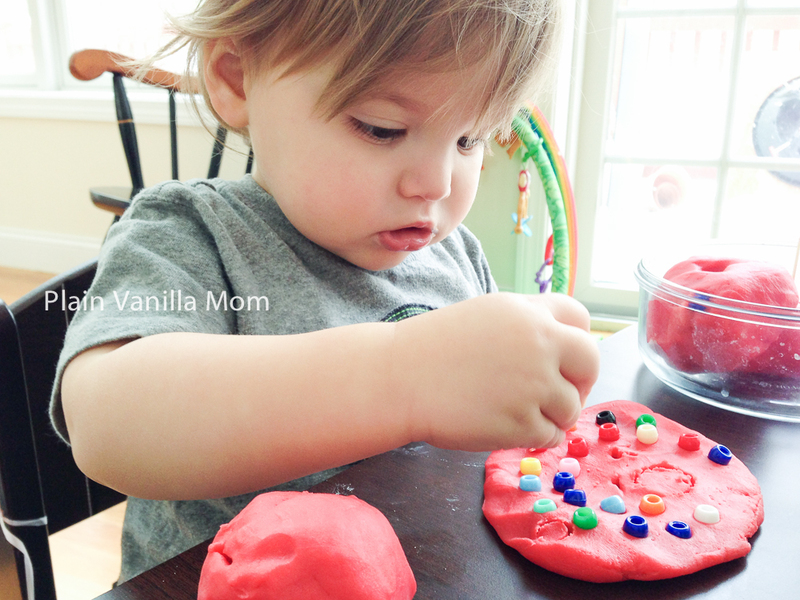 When we need a little down time I will often break out the play dough. 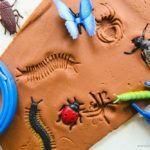 I’m always looking for new things to incorporate into our play dough play. This time it was beads. 4. 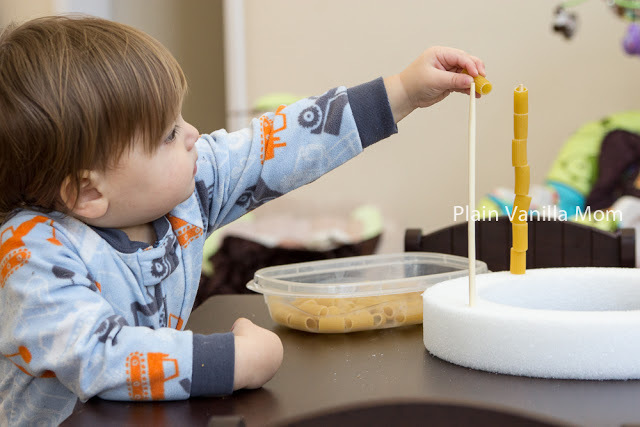 Pasta stacking on chopsticks. 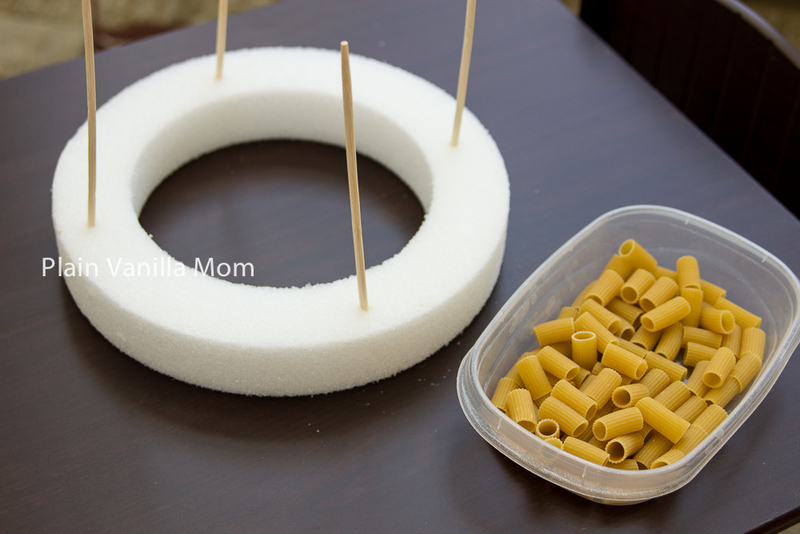 For this I just stuck some chopsticks into a styrofoam ring I had in our craft closet and gave C a dish full of rigatoni pasta. This was another activity that kept him occupied for awhile (and when I say awhile, I mean something that he will play with pretty independently for 20min or so). I should have set this one up for him on the floor though. He had a bit of a harder time reaching the height of it when it was on the table. Well that’s what we’re playing with this week. I hope you can find some inspiration. If you have a minute we’d love to hear what you are playing with. Leave us a comment and let us know. This post is part of our Weekly Playlist Series. Don’t forget, you can find us and Follow us on Facebook and Twitter if you aren’t already, and we are on Pinterest too! What age is your son here? 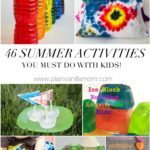 I am interested in doing some of these activities with my son (age 14 1/2 months) and I was just trying to compare. He’s about 19 months here. 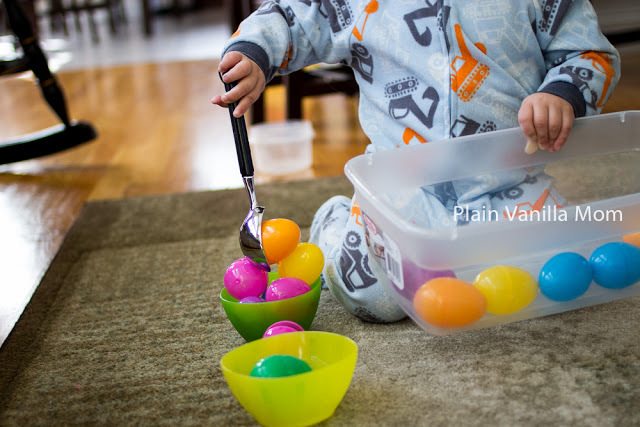 I actually have a 14 month old at home right now too 🙂 Every child is different but the egg scoop is about the only thing here that he would be able to do right now. He does play with rice a little but I watch him like a hawk because he tries to eat it. 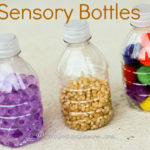 Beads for my 14 month old would be totally out because anything remotely “food” looking goes in the mouth haha. Good luck and have fun!